Some evidence shows that regular exercise may do more than improve current mental function. It may serve as dementia prevention. Physical activity has been shown to lower risk for stroke, heart disease, and diabetes, all of which can have a detrimental effect on memory. Several large, well-designed studies have concluded that exercise is good for the brain. Even moderate exercise, such as walking, when done regularly, has proven benefits for mental function. The evidence is convincing that regular physical activity (walking, bicycling, swimming) improves mental function. A few studies also suggest that it may reduce the risk for Alzheimer’s disease. Here’s some of the evidence for improved mental function: A study of 124 previously sedentary adults (ages 60 to 75) compared the effects of aerobic exercise (walking) to anaerobic exercise (stretching) on different aspects of mental function, such as memory and executive processes (such as planning and scheduling). Participants who engaged in a regular aerobic exercise program showed significant improvement in performing mental tasks, while those in the other group did not. The Nurses’ Health Study has been collecting data on thousands of female nurses for more than three decades. In part of this study, researchers analyzed data on more than 18,000 women, ages 70 to 81, to determine how physical activity affects mental function. Women who were the most physically active scored highest on tests of mental performance; they had a 20 percent lower risk of mental impairment than women who were the least active. In this study, physical activity did not have to be strenuous. Women who walked at a leisurely pace for at least six hours per week had improved mental function. Even women who walked for just two to three hours per week did better on tests of cognition than sedentary women. One study found that a high-intensity resistance training program improved cognitive function in people with mild cognitive impairment. Some evidence shows that regular exercise may do more than improve current mental function. It may prevent or at least delay the onset of Alzheimer’s disease or mild cognitive impairment. A study that followed 191 women for 44 years found that high physical fitness in middle age decreased the risk for dementia decades later. One study found that people who have the ApoE4 gene (which increases risk for Alzheimer’s disease) and engage in regular physical activity had no shrinkage in the hippocampus (a brain region responsible for memory that is affected by Alzheimer’s disease) compared with a 3 percent smaller size of that brain region in their sedentary counterparts. Another study found that expending energy through a variety of physical activities, including swimming, hiking, aerobic exercise, jogging, tennis, gardening, bicycling, and others, is correlated with larger brain volume in key areas related to memory and cognitive functioning. Physical activity has been shown to lower risk for stroke, heart disease, and diabetes, all of which can have a detrimental effect on memory. Reducing the risk of these conditions may lead increase your chances of dementia prevention. You don’t have to become a marathon runner to achieve the benefits of exercise, but some form of regular physical activity is important. Try to get 20 to 30 minutes of moderate-intensity exercise on most days. This can be a brisk walk, bicycling, gardening, or some other type of exercise that you enjoy. Even greater health benefits can be gained from more vigorous activity for longer periods of time. When you exercise, be sure to drink plenty of water. Dehydration impairs both physical and brain function. A recent study found that older adults who engaged in physical activity who were well hydrated performed better on a test of mental function than those who were less well hydrated. 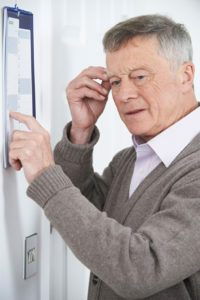 To learn more dementia prevention, purchase Alzheimer’s Disease at www.UniversityHealthNews.com. aerobic exercise, aerobic exercise program, alzheimer, apoe4, benefits of exercise, brain, brain volume, cognitive function, cognitive impairment, dehydration, dementia, diabetes, exercise, exercise program, fitness, health, heart disease, memory, mental impairment, mild cognitive, mild cognitive impairment, nurses health study, physical activity, physical fitness, stroke. It’s good to learn this. Staying healthy means taking action.